Let Northwest Window Washing Share the magic of the Holidays with you! 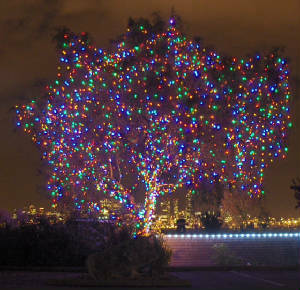 The staff at NorthWestWindowWashing.com uses a professional yet down to earth approach for their Christmas & Holiday Lighting services throughout Portland - Vancouver areas that is highly customized and focuses on complementing clients' existing decorating style. Our Holiday Lighting designs are highly functional and practical, yet never over-done. 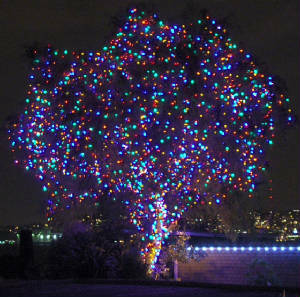 We take pride in the satisfaction our clients have with our Holiday Lighting & Christmas Lighting services throughout Vancouver - Portland and surrounding cities. Need a theme or have a unique need? 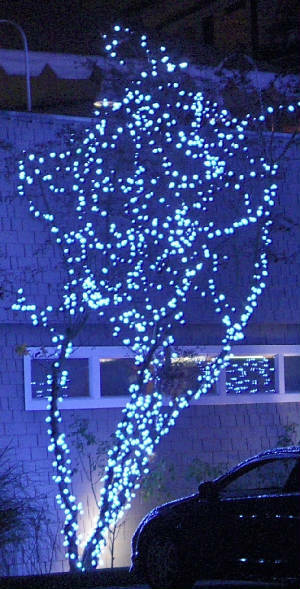 We've designed & installed creative holiday lighting for neighborhood entrances, office buildings, shopping centers and some of the nicest homes in the Portland – Vancouver areas. 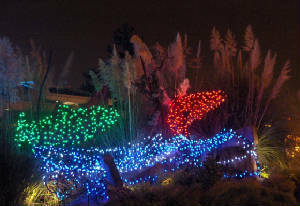 Our Portland Christmas Lighting services include design, installation, removal and storage. Whether entertaining guests during the holidays, or enjoying a quiet evening in your own backyard, landscape Holiday Lighting can bring out the natural beauty of your living area. We’ve had so many clients’ that have had such great satisfaction in the way neighbors and on-lookers admire their home in the best traditions of the holidays. Each holiday lighting installation is custom-tailored to the geography, topography, and building architecture of retail stores, restaurants, hotels, country clubs, resort locations, wineries and large commercial facilities & shopping centers on a case by case bases. To improve user friendliness, we use timers and dimmers that automate outdoor holiday lighting so holiday events and visiting business partners can enjoy the lights as a self-sustaining aesthetic that requires no visible staff to control. We understand that there are those companies that have very large budgets for Christmas Lighting & Holiday Lighting, though we believe in a cautionary approach to investing a fortune for this yearly tradition. Considering the way the financial and energy market fluctuates. We mainly use low voltage, energy saving Holiday Lights, as well as using creative design techniques to reduce cost, yet provide the same solutions. Based on your personal style and taste we will design and provide a free estimate for your home or business. The first year, you purchase your Christmas decorations and supplies, which can be purchased through us. We will schedule your installation when it’s convenient for you, based on availability. The decorations will remain up through the holidays and we will be back to remove and prepare for storage immediately after the holidays. The purchased product is yours to keep and subsequent years you pay for installation and removal only. Take all of the hassle and headaches out of the busiest season of the year by having it all done for you. Call us or request your FREE online quote today! Need Affordable SEO Services or an increase in your website ranking & customer traffic visit Howard SEM Group for your Affordable SEO & PPC Management needs. Copyright 2007-2009 NorthWestWindowWashing.com All Rights Reserved.